Thinking about transforming your garden or driveway but not sure what to go for? It’s hard to decide which surfacing is best for your home from options such as turf, gravel, paving or tarmac. Here at Staffordshire Brickies we’re experts at paving and believe there are many reasons why you should choose it! It’s a much more attractive option than using traditional tarmac – the paving can be laid in a variety of designs and types to suit your home and tastes. Less upkeep is required than with turf or other surfacing products, meaning that it can be enjoyed with minimum maintenance. If there’s a problem either underneath the paving, or with damage to one of the paving blocks they can be removed separately to reduce widespread disruption. Paving is also very hard wearing and so is incredibly long lasting. 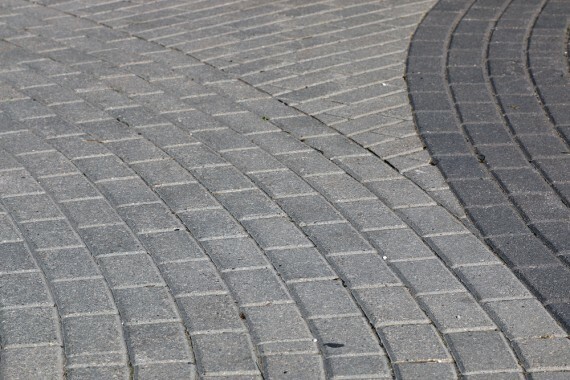 Here at Staffordshire Brickies we’ve been supplying paving in Staffordshire for many years and are experts at producing exceptional paving areas in your home or business. We have a team of highly skilled tradesmen who have completed many projects in the Staffordshire area creating pathways, patios, driveways, forecourts and pool surrounds. In addition to being specialists at paving in Staffordshire we also provide a comprehensive bricklaying, roofing and fencing service and so can help you with any element of your home redesign. We provide fast, high quality and cost efficient solutions for paving in Staffordshire – so if you would like more information, or a tailor made quote then please get in touch with a member of our team who can answer any questions you may have.